Booking requests must be sent 24hrs in advance. Studios can only be booked during the allocated slots, Monday to Friday. If you are consuming food or drink you will be asked to leave the studio immediately. No use of aerosols or smoke machines is allowed. If you wish to photograph food, liquids, animals, or anything sensitive, a risk assessment is required. Notify the relevant technician immediately of any fault or damage to equipment. 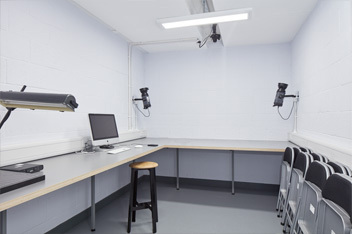 In order to book any of the studios, you must have received the relevant induction. This is for your own safety. 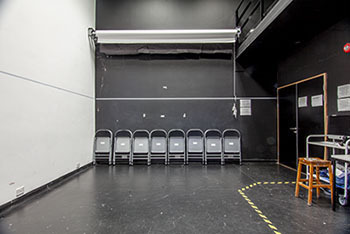 Additionally, the studios contain equipment that can be difficult to use correctly if you have not been inducted. 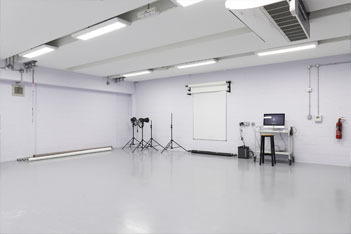 If you have not had an induction and wish to use the studios, you must first contact your tutor. They can then timetable in an induction later in the semester. Due to timetable constraints, it is not always possible to arrange additional inductions. You may need to make alternative arrangements.